Pat Cox's filmmaking career crosses the gamut, spanning everything from German fighter pilots to Scottish psychiatrists and New Zealand's most beloved dog. Cox began working in film in his native Ireland, thanks to a next door neighbour in Dublin who worked as a cameraman. Soon Cox was developing parallel skills as an editor and cameraman. In the second half of the 1960s he worked in various assisting roles on a number of features shooting in Ireland: among them David Lean romance Ryan's Daughter, and The Blue Max, based on German fighter pilot Bruno Stachel. Cox met his American wife to be while she was studying in Ireland and moved with her to Nebraska in 1968, and then in 1973, to New Zealand. Cox spent time as a cameraman (often freelancing for Australian network ABC), editor and production manager. Soon after he set up Film Editing Services, one of New Zealand's earliest independent post production facilities, importing two Steenbeck editing machines. He had also taken on the "little mini film school" that was running at Wellington Polytechnic, teaching film and TV to graphic design students, including future animator Euan Frizzell. After another student, Annie Collins (Patu! ), failed to find work in the film industry, Cox offered to train her as an editor. The mid 70s saw a big growth in locally-made television advertisements. Many were edited at Cox's premises, with Cox cutting film alongside legendary commercials talents Geoff Dixon and Tony Williams. When Williams shot his first feature Solo, he employed Cox as production manager. With Sleeping Dogs shooting simultaneously, the shortage of available crew meant that many had to be trained up on the job. Cox also edited films on everything from Turangi to the Boys' Brigade. He would also later co-edit (with Jacqueline Scott) controversial documentary Birth, with R.D. Laing (1978), in which the Scottish psychiatrist criticised childbirth practices in Western society. Cox had become a fan of Murray Ball newspaper strip Footrot Flats, finding the strip gave him inroads into the unsure, sometimes inarticulate society that was his new home. Cox decided that it had the makings of an animated feature. He got Ball's phone number from a newspaper editor, and gave him a call. A number of phone calls and meetings later, the two began working on a script, later calling in the talents of cartoonist Tom Scott. Although the Footrot comic strip was a trans-Tasman hit, the path to a movie version took many years. Potential Kiwi funding sources felt that since the project would involve mainly Australian animators, the money should come from across the Tasman. Investors in Australia felt differently, sending Cox back to New Zealand. In the end Cox won funding from newspaper group INL, and joined forces with New Zealand producer John Barnett. Barnett persuaded merchant bankers Fay, Richwhite to underwrite the project. When Footrot Flats: A Dog's Tale was finally released in 1986, the film (and soundtrack) proved a major local hit. Footrot Flats became the most successful New Zealand feature released on its home turf in the 80s, and is still in the country's all-time local top ten today. It is the only animated feature yet to originate from New Zealand, and also a rare local title win wide (60 print) Australian release. In September 2011 Cox was a key player in arranging the film's 14-cinema re-release, plus the DVD and Blu-ray release which followed in December. Cox has sought funding for another dozen scripts over the years, though commercials have provided a far more reliable income. 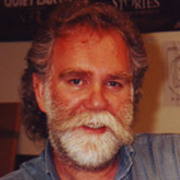 He established company Blick, Tomei, Cox back in 1980, to produce commercials alongside cinematographer/ director John Blick and American-born art director Bob Tomei. Thanks to a growing roster of directors — and Blick's departure to make ads in America — the company's name was soon changed to Partners Film Company. Eventually consisting of Cox and John Toon, Partners finally wound up in 1990. Cox moved directly to become head of television production at Colenso Advertising, then spent two years with Silverscreen, before joining Saatchi & Saatchi as head of production in 1995. During his time at the three companies he worked on high profile campaigns for Steinlager, NZ Post, Air New Zealand, and Mainland Cheese. Cox left in 2001 to establish The Producer Board Ltd. The independent agency offers assistance to both locals and non-locals, making commercials downunder. Through the company he has produced many more commercials, including the NZ Tourism 100% Pure series, and international campaigns for Mitsubishi and Sony PlayStation. He also kept his hand in animation, with a series of electoral enrolment promotions that were used across four election campaigns. Pat Cox has worked as a producer on three short films to date: Paul Middleditch's Where did the White Go (1990), Grant Lahood's multi-awardwinning The Singing Trophy (1992) and Yvette Thomas-directed psycho-sexual drama The Lost One (2006).